The debate continues over whether to feed—or not feed—pasteurized waste milk to calves. Ellan Dufour, a dairy research nutritionist with Hubbard Feeds, offers a balance perspective on the debate here. • Utilizes waste milk. 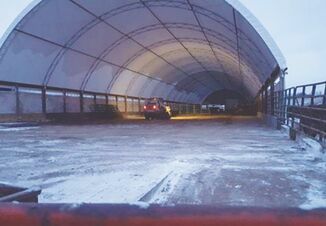 “Utilizing waste milk to feed and raise calves allows producers to avoid potential economic losses, disposal challenges and environmental concerns that may arise during the discarding process,” Dufour says. • Improves calf performance. “Pasteurized waste milk tends to contain more protein and fat on a dry matter basis as compared to traditional milk replacer, making it more energy dense,” she says. As a result, waste-milk fed calves tend to out-perform those fed milk replacer. • Reduces disease transmission. The pasteurization of waste milk, which typically comes from cows with mastitis, reduces calves’ bacterial exposure which can lower sickness and death rates. • Intensive management of the pasteurization system. “Strict pasteurization, sanitation, maintenance and monitoring protocols need to be set up and strictly followed,” says Dufour. • Inadequate waste milk supply. 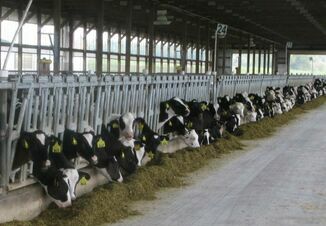 The number of treated cows on most dairies is variable, leading to the potential of not having enough waste milk available. This can lead to frequent diet changes if milk replacer has to be supplemented when sufficient quantities of waste milk are not available. • Inconsistent nutrient composition. While waste milk often contains more protein and fat, it also can be much more variable in composition than milk replacer. This inconsistency can lead to digestive upset in young calves, which is never a good thing. For a more detailed discussion of the pros and cons of waste milk pasteurization, click here.